To celebrate our 10-year anniversary, the first 50 people to register will be entered in a $100 gift card drawing! Our annual race offers 2 different timed events, a community walk and fun for the whole family! 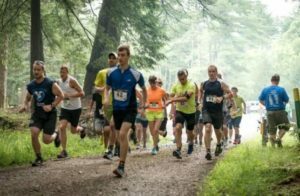 Our race, held in the beautiful Cook Forest State Park, will be held Saturday, July 21, 2018 at Shelter 2. For registrations form and more information, visit 2018 Duathlon and 5k or the Brookville YMCA. It was a terrific day! The weather was fantastic and the competitors began arriving about 8:30. One hundred and eight people participated in our annual 5k, Duathlon, and Community Walk. Seventy nine people choose to pre-register for our event through the Brookville YMCA and using our registration form and waiver provided on this website. The duathlon began at 10:00 and the 5k and community walk began at 11:00. An awards ceremony followed the competition with plaques and prizes such as Red Lobster gift certificates, Road Id certificates and Forest Nook Pizza coupons going to first – third places in the Duathlon and 5k for female, male and teams. All children ages 15 and under received a medal for their efforts in the day’s events. Children who participated in the community walk received participation ribbons and certificates for ice cream cones. Many of our Corporate Sponsors donated funds or prizes used for Grand prize and door prize drawings. In order to be eligible for one of these drawings, participants brought donations to the race. Those who brought donations of more than $50.00 were eligible for the grant prize drawings. We had two individuals that went over and above in collecting donations. Our top donation was $1,000.00 collected by Carol Ponce a criminal investigator for the PA State Police. The next largest donation came from Jill Stephens with a donation of $500.00. We are very grateful for the support of all of our participants, volunteers and sponsors. Photos of the participants are available at http://www.lyndamariephotos.com. Finish times are available at http://www.smileymiles.com. Everyone also enjoyed the free lunch that followed the day’s event. We look forward to next year’s event. It will be held the third Saturday in July and will be the same course, meeting at shelter 2 Cook Forest State Park. Thank you all for making our event a tremendous success. 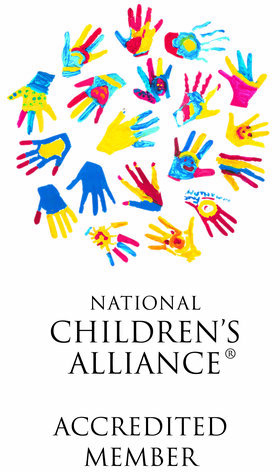 Nearly, $11,000.00 was raised to help us continue to lessen the trauma children who are abused experience through a child friendly approach.